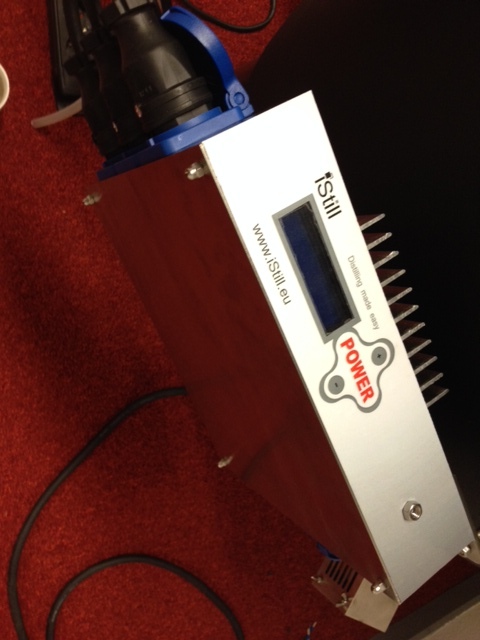 Here’s a picture of our new Power Management Module. This new module allows you to manually dial in different power settings while pot distilling. And there is more news on its specifications! With the new Power Management Module, you can dial in any power setting from 6.0 to 12.0 KW during the run. The iStill 250 will run on 9 KW while in pure distillation mode, collecting 95%+ all the time. But in potstill mode, after heat-up is done, you can either run at 9 KW, which is standard, or choose to manually increase or decrease the power input. A decreased power input may be beneficial for low ABV washes and/or clearer cuts. An increased power setting of for example 12.0 KW is great if you want to do an ultra fast strip run. With the new Power Management Module, you can dial in anything from 6.0 to 12.0 KW in steps as small as 0.1 KW. And the iStill 50? We decided not to develop a new Power Management Module for our 50 series. Why? Because we will be launching the new tablet controlled iStills in just a few months time. And with the new tablet computer in place, we will automate Power Management via software.